Enjoy Clarendelle wines, inspired by Chateau Haut-Brion, at the CEPC annual meeting! 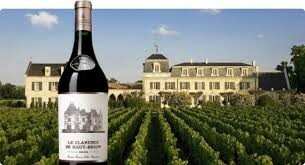 Chateau Haut-Brion is Bordeaux’s oldest wine estate. Together with other exceptional Bordeaux properties and Clarendelle wines, the Dillon family continues to build on a longstanding legacy. Mark Collins, Chairman of the Dillon family interests and Partner with Brown Advisory will share his perspective on wine and managing business succession. 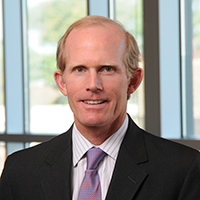 Mark is a partner and serves as a senior advisor. Mark was very influential in building the firm’s private equity platform. Prior to joining the firm, he was a partner with Trinity International in Washington, D.C. where he developed emerging market funds and advised US multinationals on international projects. Mark previously served in the International Division of the U.S. Treasury Department and as U.S. Director to the World Bank and International Finance Corporation and was an investment banker in corporate finance with First Boston. Thank you to our event sponsor Brown Advisory.